Typically, homeowner’s buy new windows as replacement or new construction windows. In order to do so properly you should use our window buying guide to find new windows near you like a pro. New construction windows are designed in a way that allows them to be secured directly on the studs of a home. They work not only for contractors who are starting from scratch, but also for remodel projects where the studs and frame will be exposed so that new windows can be attached. In contrast, replacement windows are made to fit exactly into the opening left behind by an old frame. Whether you are adding on to your home, building a new home, or simply replacing windows at the end of their life, it is important to understand the differences between styles, materials, and operational designs of each window before making a purchase. There is no one-size fits all answer to the question of which window is best, which is why you should always find the best window buying guide. Selecting a window for you home is heavily dependent on your location, the architectural design of your home, and how the windows needs to function in order to make your life more simple. With so many decisions to make about style and so many designs to choose from, buying replacement or new construction windows for your home may seem like an overwhelming task. To make your decision simpler, we have put together a complete window buying guide of everything you need to know before making a window purchase. Continue reading to learn more about budgeting for your window purchase, financing your window purchase, selecting the right design and materials, finding a great contractor, and maintaining the quality of your windows. There are many factors that affect the cost of a new window. The brand name, quality, material used, and size of the window all play a role in determining the exact cost of the window. In general, you can expect to spend between $450 and $600 on a single vinyl window. A window with wood frame is more expensive, costing between $800 and $1,000 for a single window. You won’t be able to settle on an exact price without an estimate from a contractor or supplier, but you can still draw up a rough budget based on the average prices listed above. For each window you will be purchasing, add between $50 and $100 for the cost of installation. Let’s say you have ten windows in your home, even though chances are you have more. Let’s say you have decided to go with a moderately priced model costing $550 for each window. Add $100 for installation, and multiply by ten, and you are looking at spending roughly $6500 to replace the windows in your home. The best way to finance replacing the windows in your home is to save up and pay cash for the project. If paying cash is not an option, you can also use a credit card or home equity line of credit to finance the cost of your new windows. One way to finance the cost of new windows for your home is by applying for credit card with an introductory zero interest rate. Many large home improvement stores offer credit card financing to new customers. If you choose to use a credit card to pay for your window, you will need to be sure you have the ability to pay off the entire balance before the introductory period ends or you will be charged the full interest on the original balance. Another way to finance the cost of new windows for your home is by using the equity you have built in your home to borrow money from your bank. A home equity line of credit is typically a large loan, and it can only be used for certain expenses such as home improvements or medical bills. 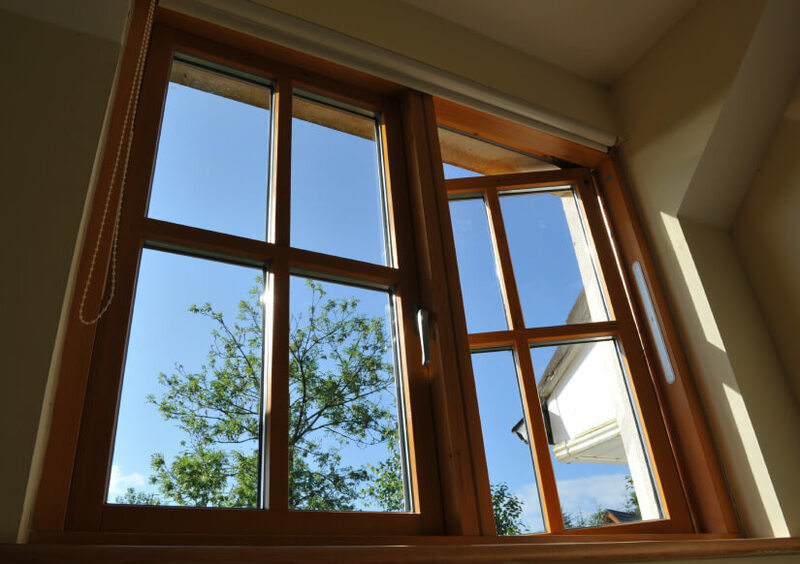 Our window buying guide suggests this as a great method for offsetting immediate costs. The different types of windows vary greatly, with each designed to serve a specific purpose within the home. Selecting the right type of window for your home will be heavily dependent on understanding your own personal preference for how you would like the window to function within your home. Continue reading our expert window buying guide to learn more about the most common types of windows available. Double hung windows have two sashes that are hung vertically. Both sashes are operational, with the bottom sash moving upwards and the top sash moving downwards to open and allow fresh air into the home. Many brands design their double-hung windows to with sashes that tilt inwards, allowing for easy cleaning of the exterior panes. Single hung windows have two sashes that are hung vertically. Unlike the double-hung windows, only the bottom sash is operational, moving upwards to open the window. Many brands design the operational sash of their single-hung windows to tilt inwards for easy cleaning of the exterior pane. 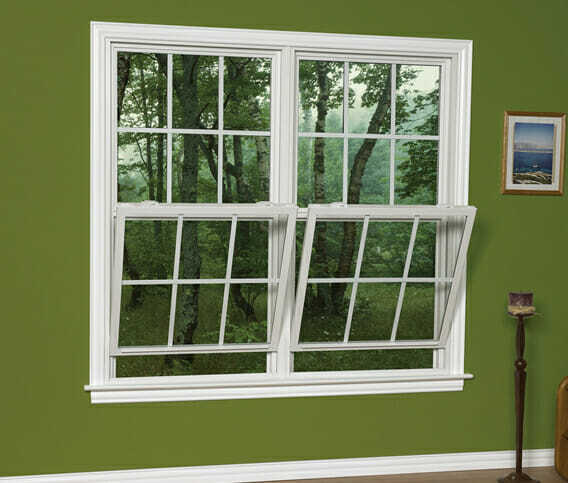 Casement windows, awning windows, and hopper windows are all tilt-out windows. These windows are single pane windows that open outwards, typically operated with a handle that allows the window to be opened or closed and locked with one motion. Casement windows have a hinge on one side, and open outwards on the opposite side. Awning windows have a hinge along the top and open outwards at the bottom. Hopper windows have a hinge along the bottom and open outwards along the top. Sliding windows have two or three sashes which are hung horizontally. The operational design of these windows varies greatly from brand to brand. Some sliding windows have two sashes, with one or both sliding horizontally to open the window while others have three sashes with the two outside sashes sliding to open while the center sash remains stationary. Bay and Bow windows are designed to add architectural interest to the home. Bay windows are constructed of three windows placed at sharp angles, extending into the outdoor environment. Bow windows are constructed of three or more equally sized windows that are placed side-by-side in a gentle curve, extending into the outdoor environment. In general, homeowner’s have the choice from four different materials for the windows in their home. Both new construction and replacement windows are available in vinyl, wood, fiberglass, and aluminum. Continue reading our window buying guide to learn more about different window materials to choose from. Vinyl windows are popular because of their durability and affordability. They require very little maintenance over the life of a window and are incredibly weather resistant and energy efficient. Although the characteristics of vinyl windows are largely positive, they do have one drawback—they are not considered to be very aesthetically pleasing. Wood windows are popular largely in a top window buying guide due to their appearance; they bring natural beauty and elegance into the home. Wood is naturally an insulating material, which prevents warm or cold air from leaving or entering the home. Wood windows are typically more expensive than vinyl, and require regular maintenance to upkeep the original quality of the window. Although aluminum windows have been steadily losing their popularity, they may still work in certain circumstances. Aluminum is very strong, which allows for thin frames and larger glass components. The drawbacks of aluminum include they are not very insulating and do not withstand extreme weather changes. Fiberglass windows are new to the industry, and only make up a very small percentage of the windows on the market. However, they are steadily growing in popularity because they are even more durable and weather resistant than vinyl. Glass options will vary greatly between brands. Some brands have trademark glass options, which provide additional security or energy efficiency. Largely, location should play the biggest influence in the glass you choose for your windows. If you live in a particularly moderate climate, you will not require the added energy efficiency you might need if your home is located in region with extreme temperatures. If you live in an urban environment or near an airport, you may choose to seek out a window with added noise protection. If you are concerned about hurricanes or extreme weather, you should be able to easily locate a brand in your region which offers an impact resistant glass. In general, there are two terms used regularly from brand to brand, Low-E Coating and Triple or Double Glazing. Double glazing places a layer of air or gas between two panes and triple glazing places air or gas between three panes. This feature increases the energy efficiency of a window and makes the glass more noise resistant. Low-E Coating prevents sunlight from entering through the glass and heating your home, which adds to the energy efficiency of the windows. When the time comes to purchase your replacement or new construction windows, it is important to select a reliable contractor for the job. If you windows are poorly installed, the energy efficiency of your home and the durability of the windows could be negatively affected. There are a lot of things to consider before selecting a contractor, including their work history, certifications, and the warranties and guarantees they offer with their work. Typically, the best place to find a great contractor is by asking for work of mouth referrals from friends and family who have had windows installed by a local contractor. You can also spend time online browsing review websites such as Google reviews for information about contractors in your area. More often than not, each window brand will have a list of contractors they have certified to install the windows they manufacturer. Whether they recommend an in-house installer or an independent contractor near you, they will often offer a guarantee of the work. This can make finding a trustworthy contractor in your area easier, since you know the manufacturer of your windows has a relationship built with them. When you make an investment as large as replacing the windows in your home, it is important to select products which are backed by the manufacturer and installer. There are two ways to protect yourself from the financial consequences of faulty or damaged windows. A warranty covers the products themselves, typically guaranteeing replacement or repair at no cost to the purchaser if damage occurs as the result of faulty manufacturing. The installation itself should be covered by a guarantee, which promises repair or replacement if damage occurs at the fault of the installer. As with any home improvement project, it is important to work with a contractor who is willing to put everything discussed in writing. A contract should detail out the estimated cost of the work, the exact services being performed, the products being provided, and the timeline for the expected completion of the job. When all of these details are put in writing, it helps prevent unmet expectations or miscommunication between the homeowner and the contractor. The Modernize window buying guide highly suggests to get all of your planned home improvement projects in writing. High quality windows will require very little regular maintenance. Fiberglass and vinyl windows require practically no maintenance since the color is often throughout the frame instead of on the surface, making windows resistant to fading or chips. Wood windows will require regular maintenance of the color, repainting or staining as necessary. In addition to the appearance of the windows, it is important to be sure your windows are operating properly. On a yearly basis, inspect your windows for air leaks, condensation, or difficulties in opening or closing. Have these problems resolved immediately, as they could further damage your windows if they are not fixed. Now that you’ve finished reading through our window buying guide you should be able to purchase your new home windows with confidence and ease!